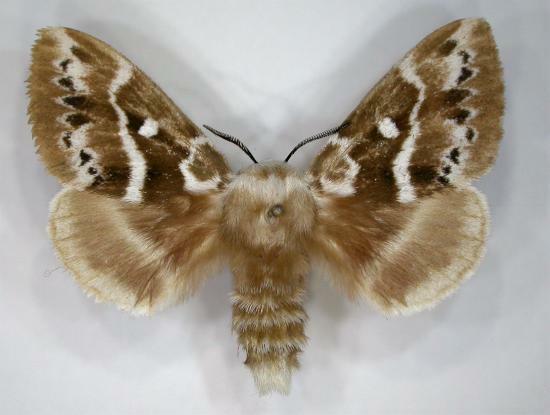 The moth is brown with wiggly white bands across each wing. The forewings each have a prominent white spot near the middle, and an irregular submarginal line of black spots. The femur and tibia of the legs are covered in white hair. The tarsi are striped black and white. The sexes are quite similar, except in size. 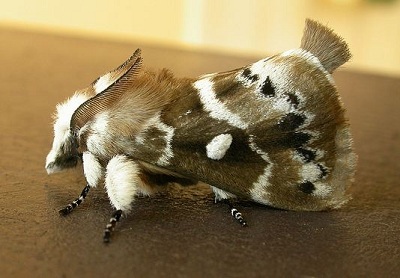 The male moths have a wingspan of about 3 cms. 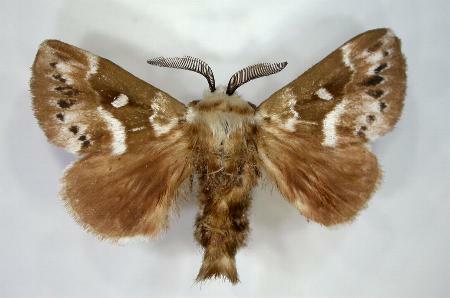 The female moths have a wingspan of about 4 cms. The males are inclined to lift the hairy tip of the abdomen, presumably to emit pheromones to attract females. Melbourne University Press, 1990, fig. 39.8, p. 390. Entomological Society of Victoria, 2008, pp. 12-13. Part 4 (1855), pp. 855-856, No. 1.